What are the challenges facing marketers today in their area of expertise? 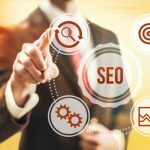 How does TrinityP3 assist marketers in this area? 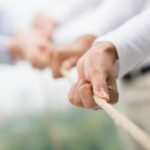 What advice would they give to any marketer facing these challenges? TrinityP3 Senior Consultant Lyndon Brill. Lyndon clearly loves his job. Following 15 years as Financial Director for advertising agencies around the globe, he now brings that knowledge and the application of the TrinityP3 benchmarks and processes to evaluate and assess the conundrum that is agency remuneration. Rather than seeing agency fees as simply compensation for the resources used, Lyndon and the TrinityP3 team work to reveal the role the remuneration model plays in delivering value and impacts on the quality of the output and its effectiveness. Beyond just simply rate and salary benchmarking, TrinityP3 assesses and calculates resource mix and levels against scope of work deliverables. 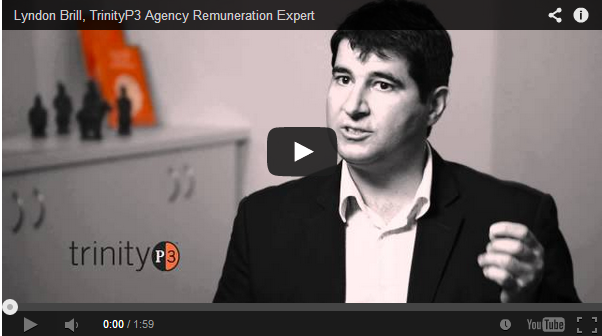 As Lyndon explains, remuneration is about delivering value to the advertiser and the agency. Ensuring the right level, mix and type of resources are available to the marketer to deliver the output and the outcomes desired at a cost that is sustainable and fair to all parties. Q1: What are the biggest issues developing a good value agency remuneration model? Because we do this every day of the week, we can give an overall industry perspective because we’re analysing different marketers within different categories and therefore we know what level of remuneration is occurring for different levels of resource and also the size of the spend based on the size of the account. We can make sure that marketers are achieving value for money by not just looking at their relationship with their agency, but also how the industry and their sector works as a category. One of the other key areas is that we can review your contract and tighten any loopholes, so we can make sure that the relationship is as transparent as possible. So one of the key things we do is contractual review, and we go through and we advise the marketer just to make sure that all those little key areas are covered off and therefore, they’ve got full transparency and that way they’ll achieve the best value. Q2: How can TrinityP3 assist in achieving this? So one of the key things that we do is, we pull apart all the different facets of the relationship. So we look at the retainer, we also look at things like the production rate card and then we also look at things like production incidentals charges. So we can benchmark these against industry standards and we can advise the marketer where their agency is positioned from a price point to make sure that the marketer is paying fair value to their agency for their services. Q3: What advice would you give marketers trying to achieve greater value? The marketer really should take the time to look through the detail because it’s very easy to identify inefficiencies and also areas where there’s scope creep and things like that which may lead to additional costs. So it’s very important also that we isolate jobs that haven’t gone correctly, and that we look at why they went wrong and that we minimise these in the future, because this will make sure that the marketer can maintain value but also the agency can maintain their profit margin which will make for a better relationship across the board. To read more insights and knowledge on agency remuneration and more, check out these posts on the TrinityP3 blog here.